LG’s V-series has always been a chance for the company to experiment with new premium features, and this year the company has outdone itself. The smartphone is packed full of new additions, from a f/1.6 aperture lens to a floating toolbar that replaces the line’s previously separate secondary display. But it’s also exciting. Having a surplus of interesting individual features is exactly what makes Android phones so simultaneously challenging and rewarding. 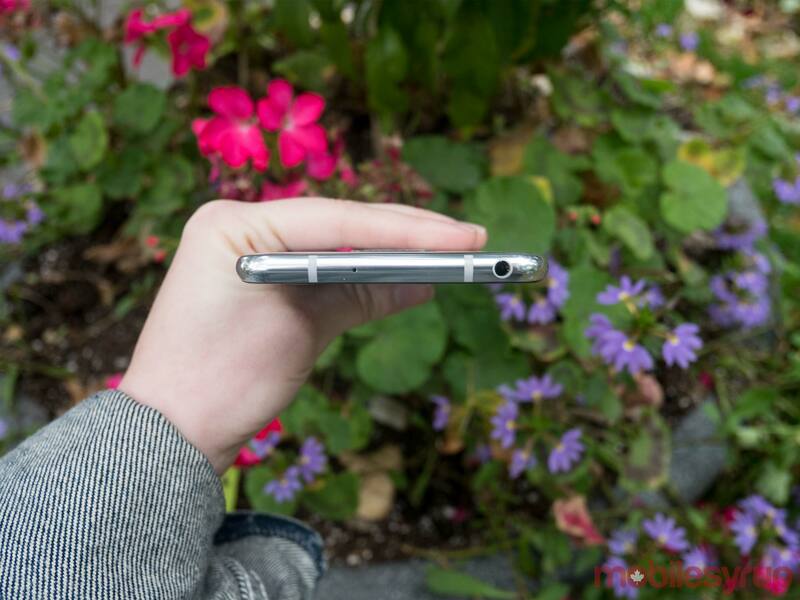 In that respect, LG has done exactly what was needed to pique the interest of Android lovers. It’s an impressive overall package, with plenty to discover and explore. There are still areas where a little refinement of core features wouldn’t have gone amiss — particularly when it comes to camera and the overall ease-of-use of its system — but it’s a solid step in the right direction and a superb multimedia device for creators. The overall design of the V30 is stunning. In my eyes, it trumps the appearance of any of the other nearly bezel-less flagship devices currently on the market with its symmetry, elegant lines and lustrous silver shine. Its slim bezels give it an 81.2 percent screen-to-body ratio, making it competitive with smartphones like the Samsung Galaxy S8+, Note 8, Apple iPhone X and the Essential Phone. Unlike the Essential Phone and iPhone X, however, the V30 doesn’t have visually annoying camera cut-outs. 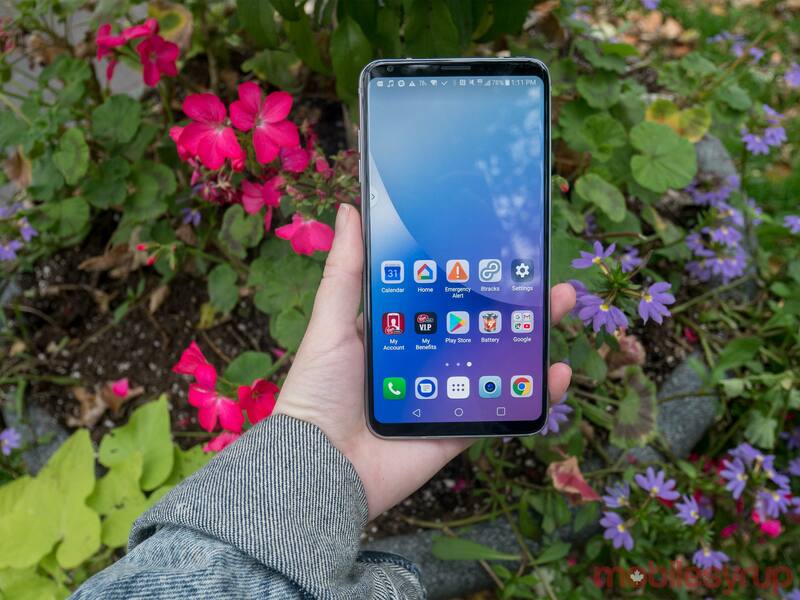 Additionally, the LG V30 stands out from most of its cohort by coming to market with both a fingerprint sensor (located on the rear) and 3.5mm headphone jack, while maintaining an impressive slenderness and lightness. At 158g, it’s lighter than its 174g predecessor, the LG V20, as well as the Google Pixel 2 XL, iPhone X, LG G6, Essential Phone, S8+ and Note 8. As for thickness, it’s 7.3mm, the same size as the OnePlus 5 and thinner than all the rest of the previously mentioned devices. In terms of day-to-day use, its lightness feels great in the hand. As a person with small hands, it’s still a bit too wide, but certainly a lot easier to wield than the V20. 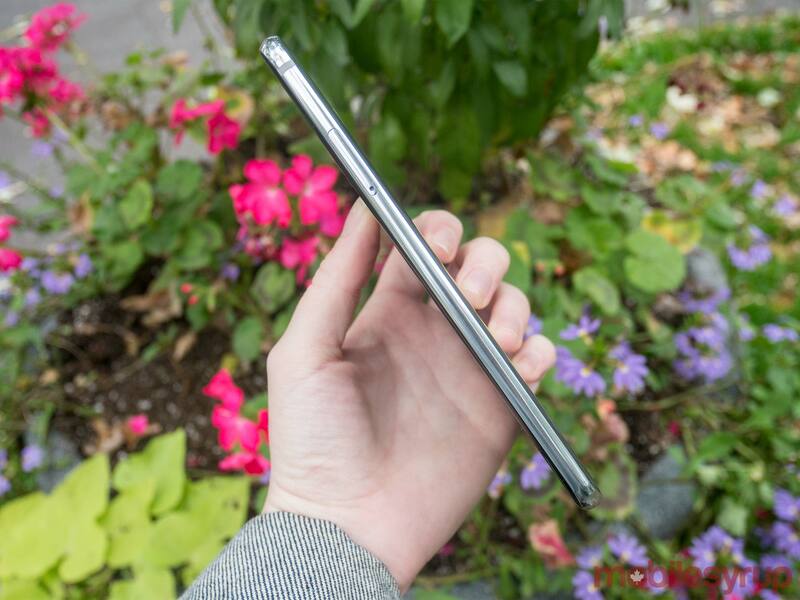 The rear of the handset appears to be metal at first glance, but is actually a silver-painted exterior covered with Corning’s Gorilla Glass 5. This allows for inductive charging through both the Qi and PMA standards, a bonus that’s only shared by the latest Samsung devices, though the iPhone X has chosen to support the more popular Qi, which amounts to a similar benefit. Many of the other competing devices, for instance the Google Pixel 2 XL and Essential Phone, opted for metal bodies, citing durability. But while it may be covered in glass, the LG V30 is no slouch when it comes to durability. It’s IP68-certified for dust and water resistance and MIL-STD-810G compliant — a U.S. military certification that includes drop tests and extreme temperature exposure. After a few unintentional drops from my hands, I can attest that the device does seem sturdy. This year, the company nixed the secondary screen gimmick that characterized the V10 and V20 and focused on one 1440 x 2880 pixel 6-inch plastic OLED display with an 18:9 ratio and an approximately 537ppi density. The display is bright, vibrant and performs well in direct sunlight, which proved an issue with previous premium LG devices. It doesn’t offer as dark blacks and bright whites as a Samsung device might, but that shouldn’t detract from what is overall a high-quality panel. What’s more, the display is both Dolby Vision and HDR10 compliant, making it an ideal option for enjoying any form of high dynamic range content Adding yet another certification, the V30 supports Google’s Daydream virtual reality platform. This is likely one of the main reasons that LG switched from IPS LCD to POLED, since OLED panels provide a lower latency that’s necessary for VR. 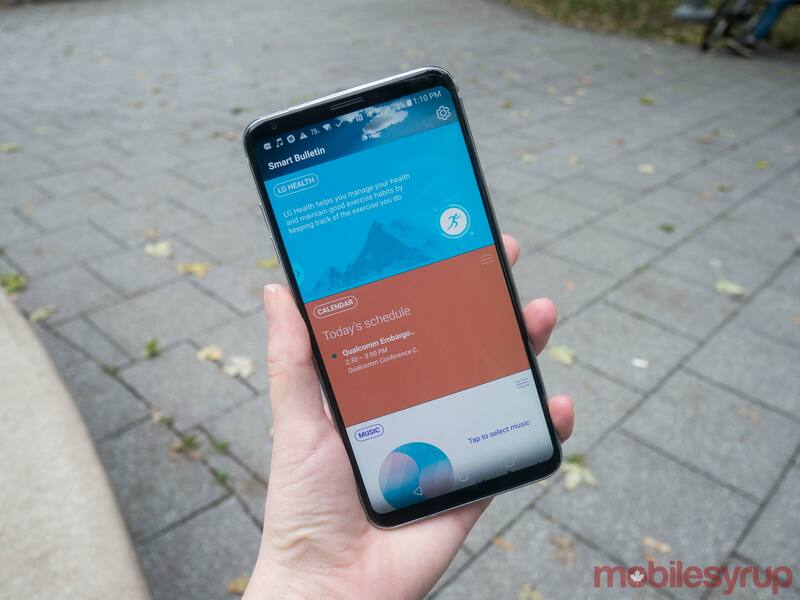 The V30’s hardware is among the most technically advanced on the market today, but LG’s skin still lacks much of the simple utility and intuitiveness of the Google Pixel’s flavour of stock Android and Apple’s iOS. Before getting into all the new additions, I’ll note that the V30 features many useless Google duplicate apps and lacks a few of the key features that most Androids have adopted by now, including a dedicated Google Now page left of home and a pre-set app drawer. Onto the new stuff, which is a mixed bag of tools — some superfluous and some completely delightful. On the delightful side: I love the way you can customize the always-on display with images. It’s a simple touch, but the colourful line drawings are adorable, and it’s a completely unique feature. The little hotdog drawing I used for a few days received multiple comments. Then there’s the new digital secondary screen, which stocks shortcuts to a customizable roster of apps. I laud LG for getting rid of the gimmicky always-on ticker of its previous V phones, and think it’s equally clever that this new feature is optional, since it isn’t much more useful than the last. The floating toolbar becomes redundant when situated near the virtual home buttons and is uncomfortable to use when set higher up on the screen. Further, the icons are still so small and close together that there are rampant opportunities for mis-clicks. LG’s newest software also added not one but two new biometric security features – facial and voice recognition — though the device itself warns in a pop-up that rather than make your device safer they’re likely to do the very opposite. A similar voice or face shape has the potential to unlock the device. In my day-to-day experience, the two features were hit or miss. Facial recognition was the easier of the two to use, and generally worked quite well, but sometimes took quite a while before registering my face and opening the phone. As for voice recognition, it was a feat simply to create a password that sounded consistent enough to work ––I ended up using my name, the only thing I could consistently reproduce. Generally, I’m more prone to use the less obtrusive, more secure fingerprint sensor than either of those features. In addition LG has the ability to use more granular commands for camera-related functions through Google Assistant. For instance, you can say “Take a selfie in wide angle,” or “Open camera in manual mode.” The specialized commands worked well in testing, but I found it easier to open the app and navigate through the options. I’ll add more on the new camera software features below, but my ultimately my feelings on LG’s UX 6.0+ features are mixed. While I enjoyed some of the new features, the overall software experience is far from elegant. Many of the new features that LG advertised fail to be very useful, and are difficult to find and use within the device. 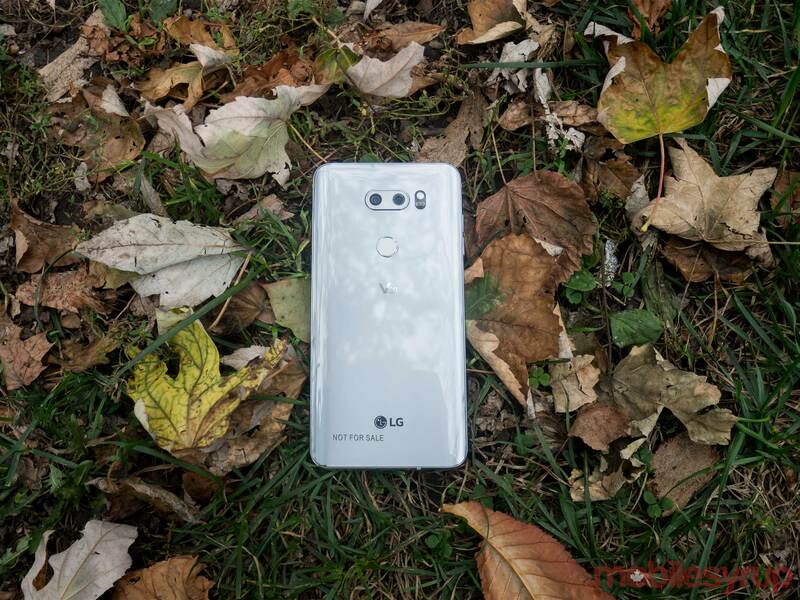 LG will release the V30 with Android 7.12 Nougat but the company has promised Android 8.0 Oreo soon after the device launches. The LG V30’s camera hardware is excellent as always. It features a dual 16-megapixel and 13-megapixel rear camera setup with f/1.6 and f/1.9 aperture lenses. The f/1.6 aperture lens is currently the widest on any flagship camera in the market, and with apertures, the smaller the number the wider it is and the more light it captures — ideal for low-light shooting. 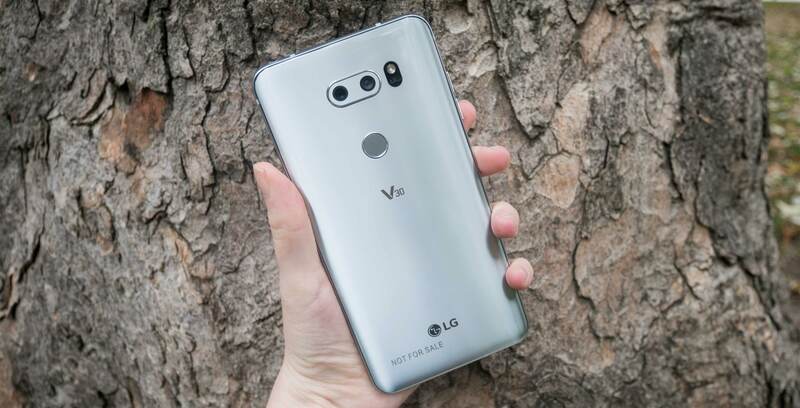 The V30’s camera setup also features an 120-degree wide angle lens, with both optical image stabilization and electric image stabilization and laser detect autofocus. On the front is a 5-megapixel, f/2.2 aperture camera, which also captures wide angle images. 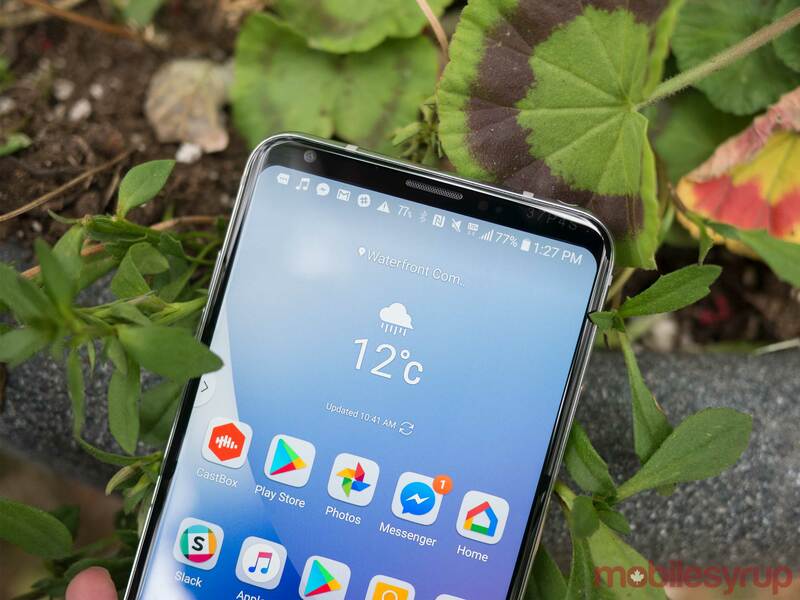 It has everything it needs to do the job well, and there’s no doubt it’s vastly improved from its predecessor — the reduction of edge distortion with angle shots is particularly notable — but it retains some key issues from LG premium handsets of the past. The main issue is its poor handling of scenes with high dynamic range (aka scenes with both dark and bright areas), which I found poor in comparison to the HDR performance provided by the latest Pixel, iPhone and Samsung devices, in particular. Even though it has HDR enabled automatically, the camera tends to blow out bright spots, like patches of sky or computer screens, leading to a decidedly unprofessional look. Manual mode doesn’t do much to help with this issue, but can improve visibility on whichever part of the photo you were hoping to focus on – the shadows or the light. It also has an issue with over-sharpening details, generating a noise-like texture that comes from giving more pixels defined edges, though it’s usually only visible when the photo is blown up larger than a smartphone screen. In low light, though, the improvements are clear. Shots retain a healthy level of colour saturation and detail that’s unusual in most low-light pictures taken on mobile. The issue of over-sharpening persists, however, along with too much noise reduction resulting in blur. On top of that, the wide-angle function continues to be a seriously helpful element of the overall LG flagship camera package. It helps convey a sense of grandeur that is usually impossible with mobile photography. I rarely found myself having to make qualifying statements like, “this picture doesn’t really do it justice but…” The V30 was always able to capture the majesty of a scene, even if it couldn’t quite capture the dynamic range. As for video recording, I was impressed with the steadying effects of the combined OIS and EIS, and found the footage smooth and detailed. Then there’s the new camera and video features, most notably Cine Video and Graphy. With Cine Video, users can select from a variety of overlays themed after movie genres to capture the perfect correct mood. It’s undoubtedly a fun feature, but the effects are far from subtle. Below, see a video shot in ‘Noir’ mode, shot in full daylight. Graphy, on the other hand, is a little less frivolous. It aims to make the manual photography mode a little less confusing for those with little knowledge of how to successfully tinker with shutter speeds and exposure. 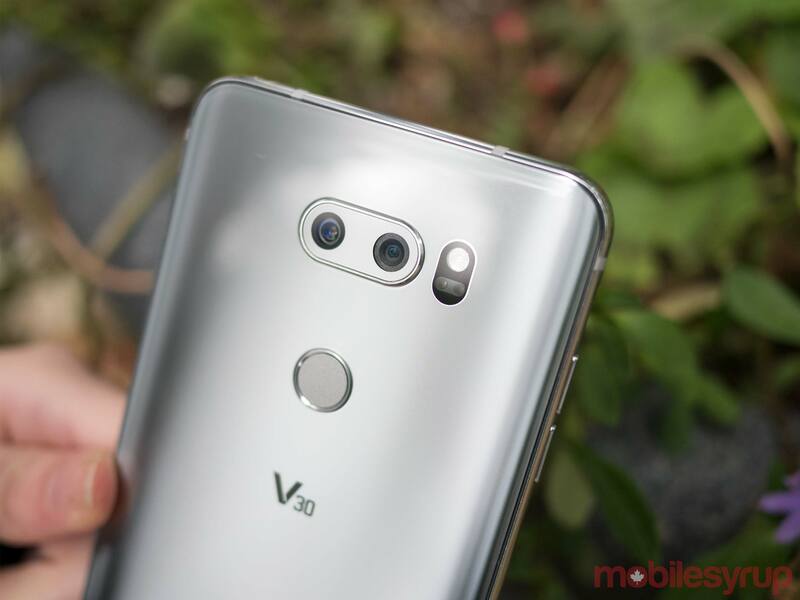 Users can use it to look through a thumbnail library of glossy, pixel-perfect V30 pictures shot by experienced photographers. Selecting a photo then applies the manual settings used to achieve the snap. For someone like me, who rarely delves into the manual settings of a mobile camera, this was helpful. Not only did it result in better manual shots, it also showed you what exactly had been adjusted for your own edification. 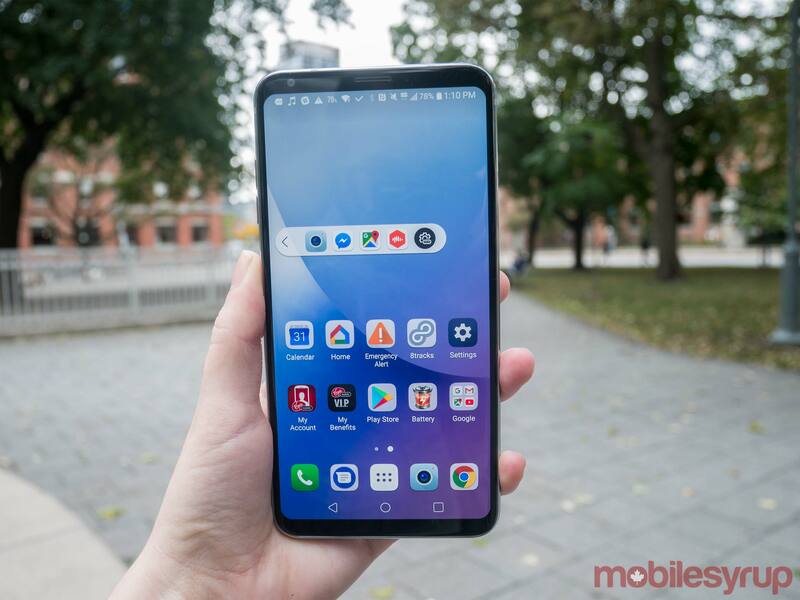 Having said that, I would have preferred LG to focus on dealing with the dynamic range and over-sharpening issues before turning their attention to creating an elaborate solution that most users likely wouldn’t identify as a problem in the first place. The V30 stocks an octa-core Qualcomm Snapdragon 835 processor, the chipset maker’s latest flagship chip and its most powerful. The processor is designed to power processing-intensive applications like virtual and augmented reality and is backed, in this case, by 4GB of RAM and 64GB of internal storage. In my time with it, I found the device hummed along perfectly, with no app crashes or even significant heat-ups while using AR applications or multiple heavy-processing apps. It wasn’t quite as fluid as devices made by Google and Apple, which develop the core operating system on which their hardware operates — but that’s more a question of implementation than pure processing power. Ultimately, its reliability and consistently strong performance earn it top marks from me. Battery, too, was impressive. The V30’s 3,300mAh power source lasted me over a day, typically leaving me with about 30 percent charge at around 10:30pm, following a full day of usage that began around 7am. Typically, I spend up to two hours browsing web content and chatting, several hours streaming music and around a half-hour video chatting. What’s more, the phone didn’t overheat during my time with it, generally hovering around 30-degrees Celsius when in use. Since the LG V30 is a multi-media phone, I’d be remiss not to comment on one last thing: its audio performance. The handset features 32-bit audio and 24-bit audio recording. I’m not an audiophile, but thought the audio quality was excellent and well-articulated through my wired Beats EP headphones. 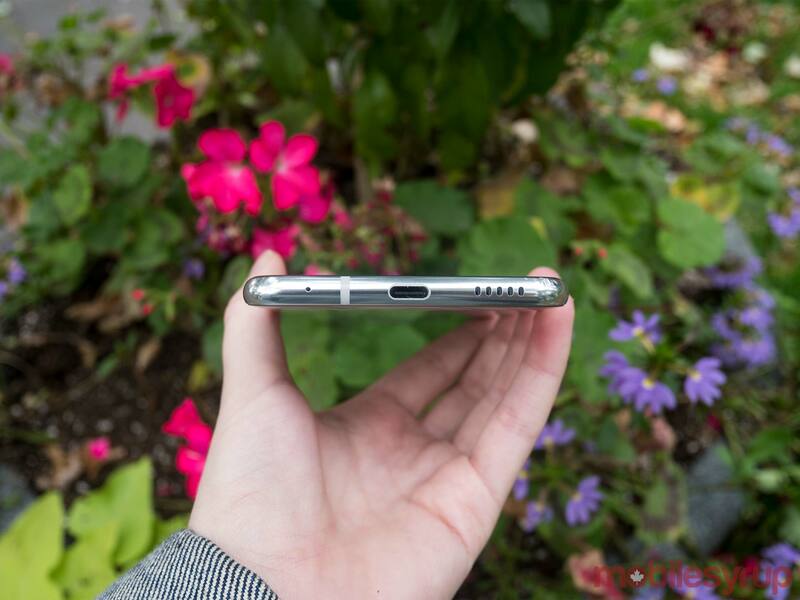 Is it head-and-shoulders above other premium flagships? It’s difficult for me to say, even having used many of them. The margin of difference is exceedingly slim, and may only matter to passionate music lovers. Still, my listening experience has been excellent. More objectively, I can say the device’s recording abilities are exceptional. I recorded my friends speaking on a windy beach and was surprised to find that every voice came through surprisingly clear. Paired with the V30’s HDR-capable camera, the device’s recording prowess makes it an ideal phone for those who like to take quick but semi-professional videos on-the-go. The amount of new LG features packed into the V30 is almost exhausting. It’s difficult to do it justice as a reviewer, and users may find themselves in a similar predicament. The V30 and its extensive list of software and hardware features demands a power user -- specifically a multimedia-oriented individual who makes high-quality content on the go. Someone who desires durability, design and functionality all in one package. It’s a bit of a kitchen sink phone, and that’s okay. In fact, it’s more than okay -- it’s super enjoyable. Potential buyers should know, however, that they’re not getting the best user experience or camera package -- they’re getting the best overall package. The device doesn’t quite oust any of its dominant competitors when it comes to certain core strengths like UI, camera or display, but for my money, the V30 wins the multimedia crown. "The V30 wins the multimedia crown."